People naturally look for the perfect fit when booking a holiday cottage. A family of four will most likely search for properties which sleep four people. But sometimes more spacious properties are available for not a lot more money. This is especially the case in the winter when the majority of holidaymakers in Cornwall are couples and families with preschool children. They go for properties that sleep two or three, when they could ‘go large’ and enjoy much more space and comfort without too much additional cost. So we thought we’d draw attention to some of the fabulous holiday homes and cottages which, although larger than you need, could provide a more luxurious holiday than you’d think you could get for the price. So if you’d like to ‘go large’ on your Padstow holiday cottage, here are some suitable properties where you can get enjoy more bang for your buck. 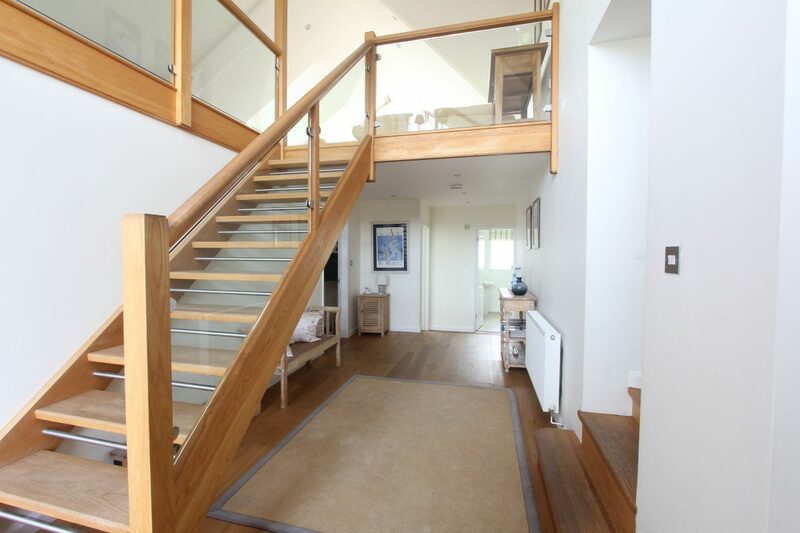 Sandbanks is a spacious holiday home close to the town but with fantastic views over the Camel Estuary. With three king size bedrooms and a bunk room you will have your choice of sleeping arrangements. The large open plan living area provides plenty of space to spread out and enjoy the comfort of this fabulous holiday home. 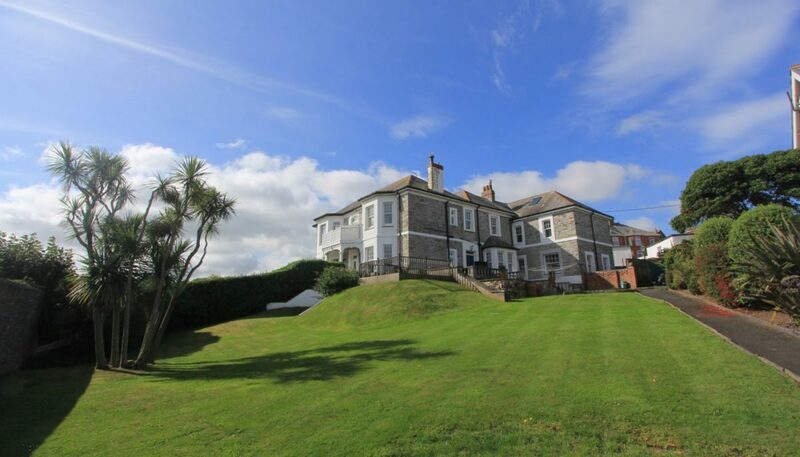 Enjoy panoramic views and a touch of grandeur in this Edwardian property, which is beautifully perched above the town. With four spacious bedrooms, a large kitchen and living room, and extensive lawned garden, Blair House is a lovely place to spend a holiday for up to eight people. You can expect clean, modern interiors with all the home comforts at this holiday home near Trevone Beach. 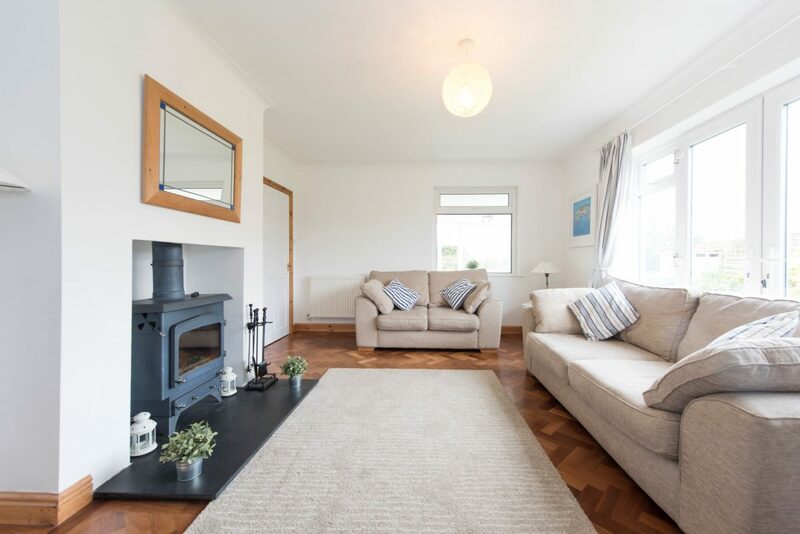 Skylarks makes a great base for family beach holidays with its spacious double and twin bedrooms, comfy lounge with log-burner, games room and plenty of outdoor space to run around in. 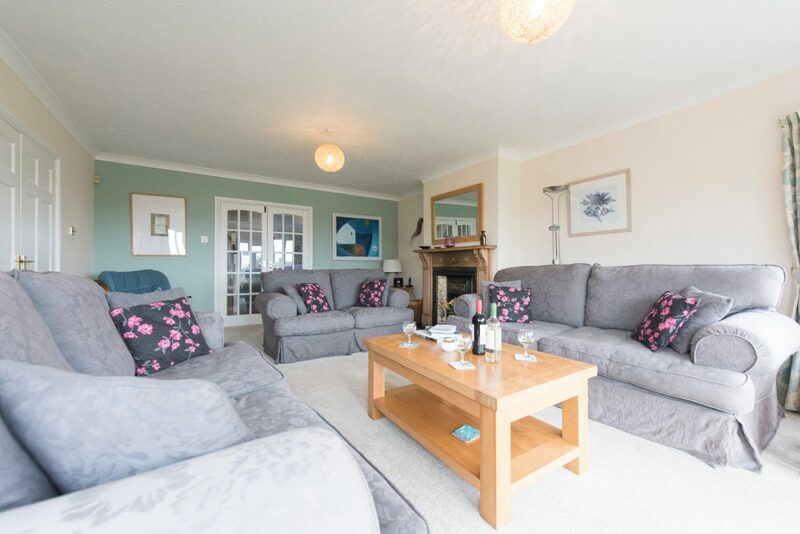 Find your own space at this Constantine Bay holiday home, no matter how large or small your party is. Suitable for couples, families or even two families, Treberta features four large bedrooms and two lounges to relax and spread out in. Outside there’s a large patio and garden, and even greater space on the beach which is only a short walk away. Find some breathing space at this countryside cottage just a mile-and-a-half from Padstow. It has beds for six but would suit smaller groups who want to ‘go large’ and enjoy some spacious accommodation in this rural retreat. 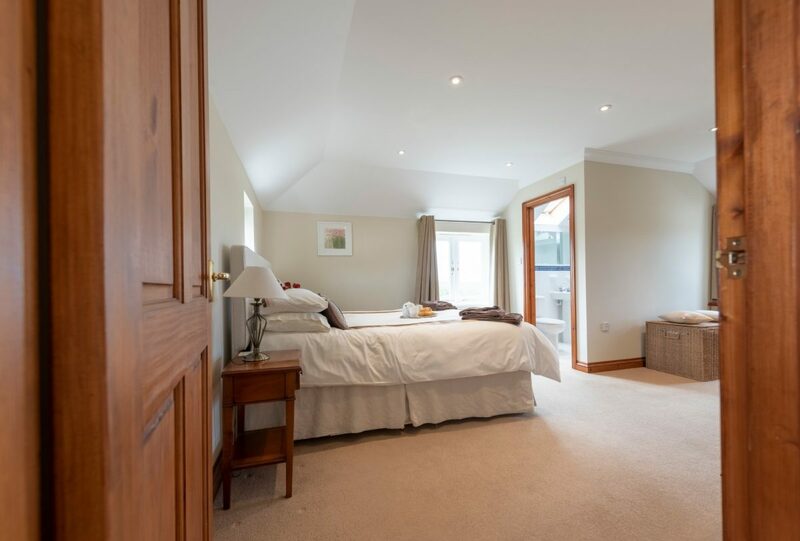 Meadow Court features two double bedrooms, and a bunk room, a large living room and plenty more room to roam outside. 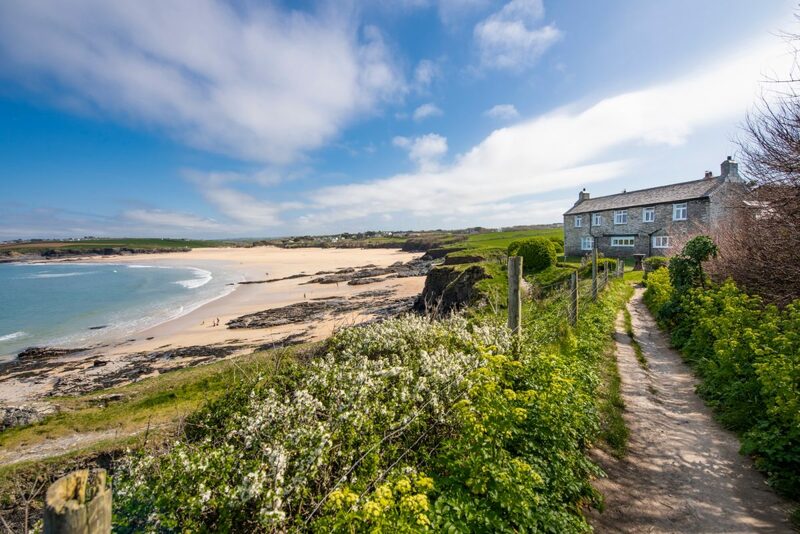 Expect sea views, fresh air and acres of space to enjoy at this holiday property in Trevone. 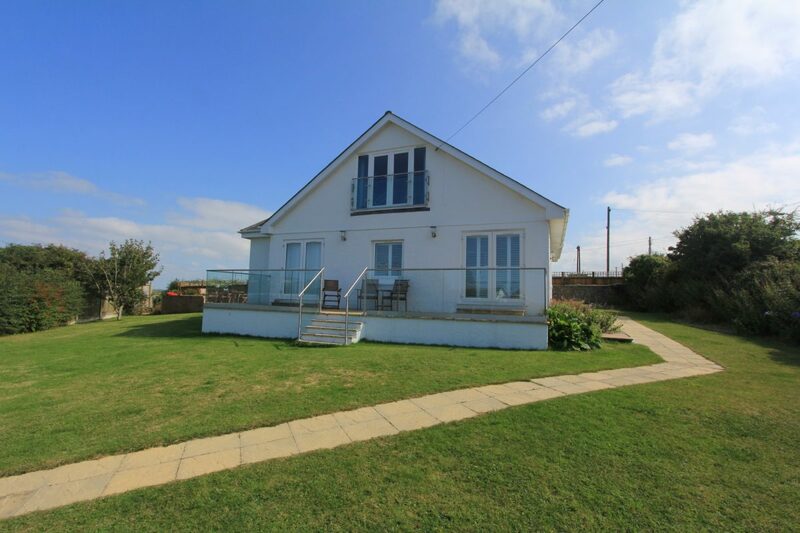 It’s only a short walk to the beach from Dawn, which features three double bedrooms, a bunk room, large lounge, garden and games room. 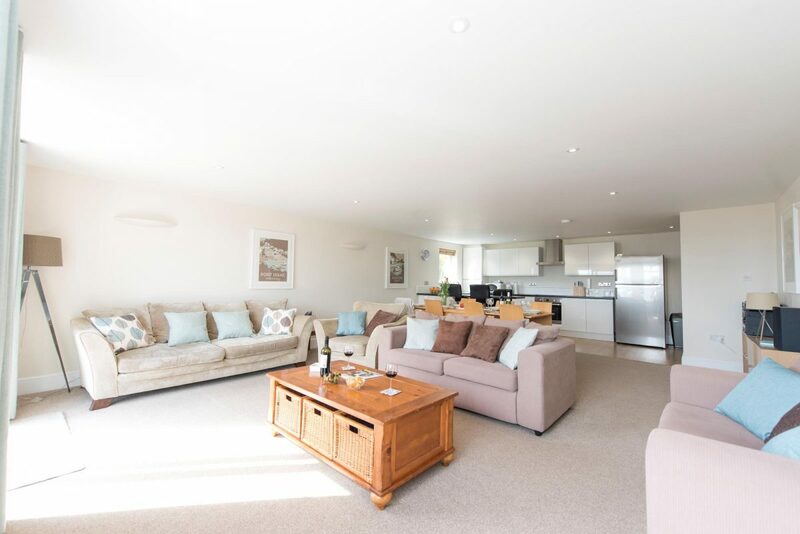 With its enviable position overlooking Harlyn Beach, The Cellars is a real treat if you decide to ‘go large’ with your holiday accommodation. It sleeps up to 13 people but you don’t have to fill all those beds to enjoy the wonderful views and unique atmosphere of this heritage property. There are six bedrooms, a large lounge with woodburner, a courtyard with seating, a large lawn and direct access to the beach (except at high tide). Although Flinders is in town, its setting surrounded by greenery gives it a countryside feel. This large house sleeps up to eight people in four good size bedrooms. There is also a sizeable living room, a separate TV room, table tennis in the garage, a conservatory and a large lawned garden with estuary views. This holiday property certainly feels spacious, but is also homely for small or large groups. Ready to ‘go large’ in Padstow? Please browse our full list of properties or use the property search to refine your selection. You can choose to stay in Padstow itself or in the surrounding beach and countryside villages. Choose holiday homes for six or more people to see some of the amazing larger properties available for not a great deal more cost than smaller houses and cottages. If you need help selecting a suitable accommodation for your holiday, please get in touch.